What's a Good Free Alternative to Microsoft Office? - Ask Leo! What’s a Good Free Alternative to Microsoft Office? There are many, many alternatives to Microsoft Office. Whether or not they'll work for you depends on your needs. I’ve got an HP computer, a couple of months old, that came with Microsoft Office starter pre-installed. I tried to access the program and it won’t come up. It tells me to go to Control Panel and repair, but I’ve had no success there. I’ve gone to the Microsoft site; still no luck. I tried again to open file, right-click, repair – nothing. Right-click compatibility – nothing. Help! I’ve gone to a past restore point and as a matter of fact, several. Nothing has changed. Help me please! Too late for today’s report, but maybe sometime in the future. I can’t afford to purchase Office. What in your opinion is the best free alternative for simple Word and Excel usage? Microsoft Office is certainly the biggest player in the area of office applications. It’s become the de-facto standard across the business world. It’s also something Microsoft pushes fairly hard when you install Windows, by including the “starter” edition and the “Get Office” app in Windows 10. There are many, many alternatives. Unfortunately, whether any of them are appropriate for your circumstance is impossible for me to say. I don’t have a solution for fixing Office starter. If I’m not mistaken, it’s a trial, so you would eventually need to purchase the product to be able to use it for any length of time. One way to fix it, then, would be to do exactly that: purchase a copy of Microsoft Office. The other way to “fix” it would be to uninstall it and explore your alternatives. There are several good, free alternatives to Microsoft Office, but each will come with what I’ll loosely call “issues”, in that they may have shortcomings when compared to Office. Libre Office is, like Microsoft Office, a “suite” of programs — a word processor, spreadsheet, database, presentation tool, and more. It’s completely free, and works on Windows, MacOS, and Linux platforms. The biggest issue with Libre Office and Open Office is that, while they are positioned as alternatives — right down to the “Office” moniker — they’re not identical to Microsoft Office. They can read and write Microsoft Office file formats, but the results will appear different in each program (a common thread among all the alternatives). For the average consumer, though, Libre Office will work just fine. Microsoft Office Online, as its name implies, is a collection of online versions of Microsoft Office applications. Specifically, free, online versions of Word, Excel, PowerPoint, and OneNote are all available. These are very similar alternatives, but they are certainly not as full-featured as their desktop counterparts. They can only be used online, while connected to the internet. You will need a Microsoft account to use them. Outside of those restrictions, Microsoft Office Online is a very capable alternative that will feel very comfortable if you’re used to using Microsoft Office on the desktop. Many consider the Microsoft online offering to be a direct response to the appearance of Google Docs. Google Docs, also free, includes an online word processor, spreadsheet, and presentation software. These programs include many of the same features as Microsoft Office, but not all. You will need a Google account to use them. Like Microsoft Office Online, Google Docs is a very capable alternative. WordPad is certainly not a replacement for all of Office, and it doesn’t meet your request for an Excel alternative, but it has turned into quite the little word processing program. If your needs are fairly basic, it might just do the trick. Not only is it free, but it’s already on your machine, since it’s a part of Windows itself. Since exactly which alternative works best for you will vary dramatically based on your own needs, I can only recommend you give these free alternatives a try. In addition, you’ll find many more potential alternatives at alternative.to, a crowd-sourced list of alternatives to many popular programs. It is, however, important to note that your needs may be such that there really is no alternative. 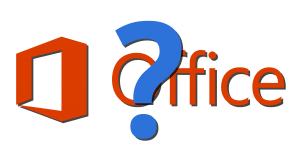 If you’re a Microsoft Office power-user, or you expect to use Microsoft Office add-ons, or you need to exchange high-fidelity documents with other Microsoft Office users, then it may be the case that only Microsoft Office itself will do. How Do I Repair Microsoft Office? - Occasionally, Microsoft Office programs can become damaged for a variety of reasons. Fortunately, you can repair Microsoft Office. How Many Machines Can I Install a Single Copy of Microsoft Office On? - Depending on the situation, the number of machines you can install a single copy of Microsoft Office on is unclear. 1: The differences, and history, are largely irrelevant for most consumers, but this article from 2014 on Tech Republic has a good overview: “What’s the difference between LibreOffice and OpenOffice?“. Be sure to scan the comments as well. 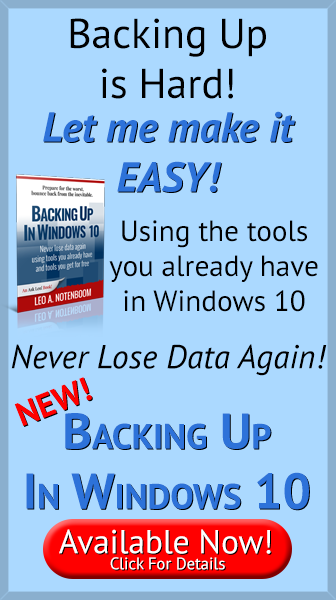 « Previous post: Can I Rely on My Online Service Provider’s Backups? Office 2010 Starter edition is the free version, that was designed to replace ‘Works’. It only contains Word and Excel, and they’re only ‘lite’ versions to boot. They’re enough for simple document/spreadsheet creation, but their more advanced features are unavailable. It’s not a trial though, and has no time limit. (But it is advertisement driven, with a sidebar that cannot be disabled). Re openoffice/libreoffice: The one that is generally recommended to point newbies to (as evidenced by that most of the linux distros have now switched to it) is now Libreoffice, which is supported by (among others) Google, Intel, Red Hat, SuSE, and the FSF (http://wiki.documentfoundation.org/TDF/Advisory_Board#Composition_of_the_Advisory_Board). Apache Openoffice serves as the ‘upstream’ for Libreoffice – due to its more liberal licensing, there are some patches that can’t be ported from libreoffice to openoffice. End users don’t need to know that, just point them at http://www.libreoffice.org/ . I have used Open Office at home for some years now. There are still some minor glitches if you try to edit Microsoft formatted documents (as I sometimes have to) but for creating documents, it works fine. Open Office’s native file formats seem to generate much smaller files too, which is a bonus. Google Docs are great in a few respects – the key is that if you have the Internet a free Google account sets you up with shareable documents & spreadsheets. As well as cloud storage. I am still using Office 2003, which I installed over the relatively inexpensive Win8 Pro upgrade offer. And in a day of loading up all my desktop (legacy) apps, it froze on me once. No BSOD – just a frozen solid screen! At one point IBM was offering Lotus 123 for free but I think those days are gone. When I deleted Java, I had to stop using OpenOffice. Kingsoft is a good replacement. I actually like Office starter. It might be Office “lite” but it does everything that I need it to do. I used Open Office but always had troubles when switching between multiple and single columns (within the same document), adding clipart or photos. Always seemed to be a struggle that I never had on my Win 3.1 machine with MS Office 4. The only thing that I wished Office starter would do is the freeze columns in Excel. If the spreadsheet comes with frozen columns, you can’t unfreeze and if it’s not frozen and you need to freeze, you can’t. The advertising doesn’t bother me. If it means that I can use Word and Excel, I’ll accept the advertising. It only advertises Microsoft products and it’s not intrusive. I hardly notice it. Since it is supported by advertising, how come I can’t find a download link on Microsoft’s website? I have a friend who would like a copy. IBM has a free office suite called Symphony which includes a word processor and Lotus 123 for free. My major problem with open source office suites is that they do not include a database. Well, I would like to weigh in here about MS Office. I volunteered with WiredSafety and was allowed to use Ms 360 after awhile I resigned and they pulled the key. No worky any longer. So I purchased a cheaper version of MS office and it would not install. I had a MS person come into the computer to see what the problem was. He was inside for over 5 hours and couldn’t fix the registry. I ended up with a PC Boat Anchor!! So I purchased a iMAC computer. The transition of programs has been nearly seamless!! I went looking for a compatible word processing program and found that Open Office was compatible. I downloaded and installed this free program. When I booted up the ms excel from my external hardrive, Open Office took it over and kept all of the formulas I had put in the “Checkbook” I had made up. Word processing docs were accepted and the power point programs were all accepted. The only program I could not open was the MS Outlook email. I found “Klammer” and that opens up those emails. So I cannot say enough good things about “Open Office”!!! When I am finished typing this comment I will definitely send Oracle a job well done and kept me from having to come up with a good viable checkbook. In closing, your blog is very informational and has helped me in my daily operating this computer and other computers that I encounter. Kingsoft Office (Free) is a good alternative. Does most of things Microsoft does, and is compatible. Won’t save To DocX though, but will read it. Microsoft Office Starter 2010 is a cut-down version of the package which displays ads, and only contains limited versions of Office and Excel. But by way of compensation you can use it free of charge and without a product key. As has already been said, OpenOffice is now Apache OpenOffice. If you look at the claims of both AOO and LibreOffice, you will find that, because they are both descended from the same ancestor (OpenOffice.org), most of what is said about one is also true of the other. It’s rather sad that they are almost inevitably in competition, and I suspect that, if you were to carefully evaluate both, you would choose the one that comes from the same side of the Atlantic as you do.